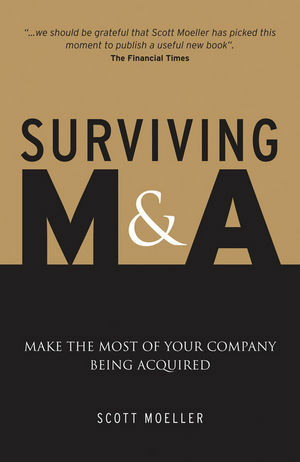 The book on how to survive an M&A deal has been published by John Wiley & Sons in Europe in late July 2009. It can be ordered from Amazon.co.uk here for the book and here for the Kindle version. The US edition was released in September 2009; you can order it from Amazon.com here. It is also available in a Kindle electronic version here. An excerpt from the book is show HERE.